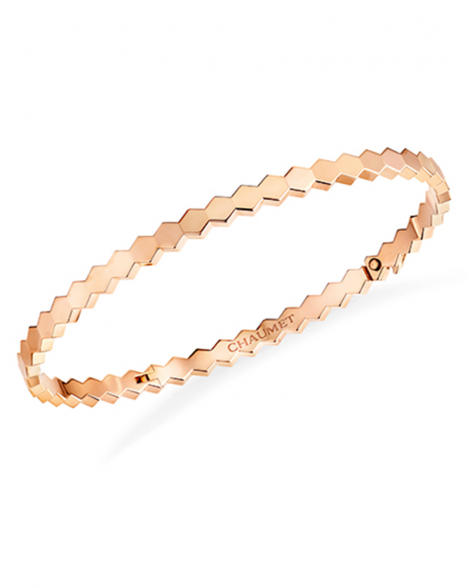 When it comes to wearing delicate bracelets, the more the better. Following the stackable Bee my Love rings, Chaumet decided to enlarge the graphic bands and create an ensemble of collectable bangles. The modern shape with a chic finish is ideal for stacking and we don’t mean just two or three – with these you can easily get away with as many as five if not more. It is also a universal lucky charm, a cherished protective talisman never to be taken off and trust us, you won’t want to. 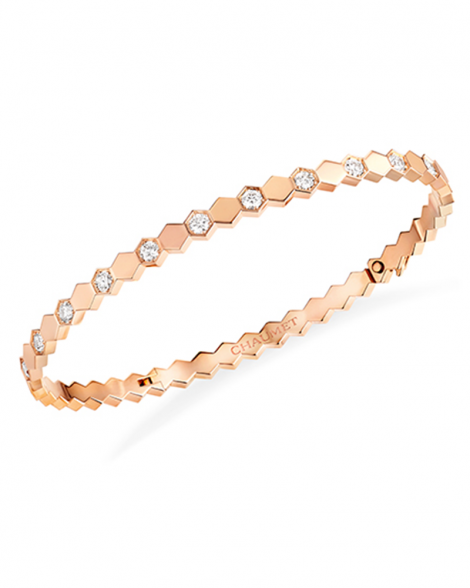 In white, yellow or rose gold, plain or set with diamonds in every other hexagonal cell, Bee my Love bracelets offer a wide variety of combinations and limitless ideas. 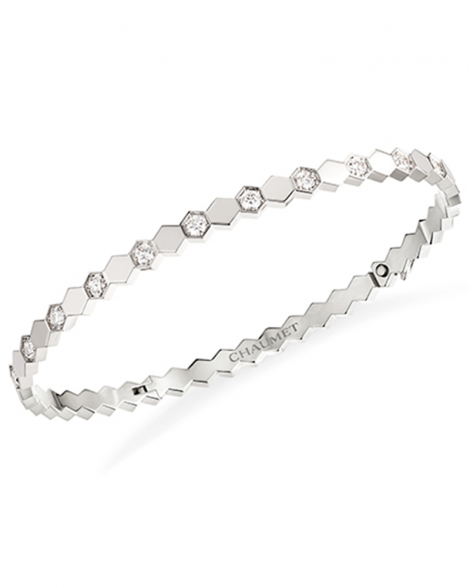 Old-fashioned rules of jewellery no longer apply when it comes to mastering the bracelet stack and we dare you to mix and match for a modern result. Click through to see more the the Bee my Love and get ready to jingle as you walk.